A performance cruising yacht/cruiser-racer set up exactly like a Sun Odyssey 40, which has the same hull, deck and interior. This might well be the ultimate cruiser-racer and really is an exceptional yacht! 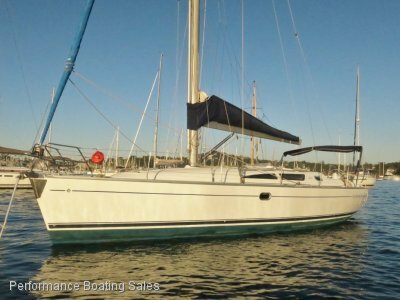 With a luxurious owner's layout in remarkable condition, this is genuinely a yacht that is a joy to spend extended time on-board, but with the Performance lead keel and 3-spreader rig it is a joy to sail. Down below this is a luxury cruising yacht, with the owners two cabin layout. There is a large dinette to starboard which is easily converted into an additional double, to port is the nav' table and occasional seating. Aft of the dinette is an enormous galley with abundant counter space & storage with a large 160 Litre 12v fridge, and opposite aft of the nav' table is a custom fitted 6-bottle wine fridge. 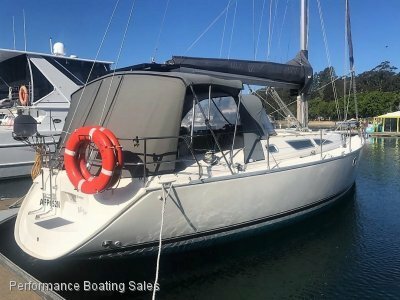 The owners cabin forward is very spacious with lots of locker space and a sink/vanity, while the aft guest cabin is king sized and can be used either athwartships, or fore & aft. Both cabins feature new multi density mattresses for maximum comfort. 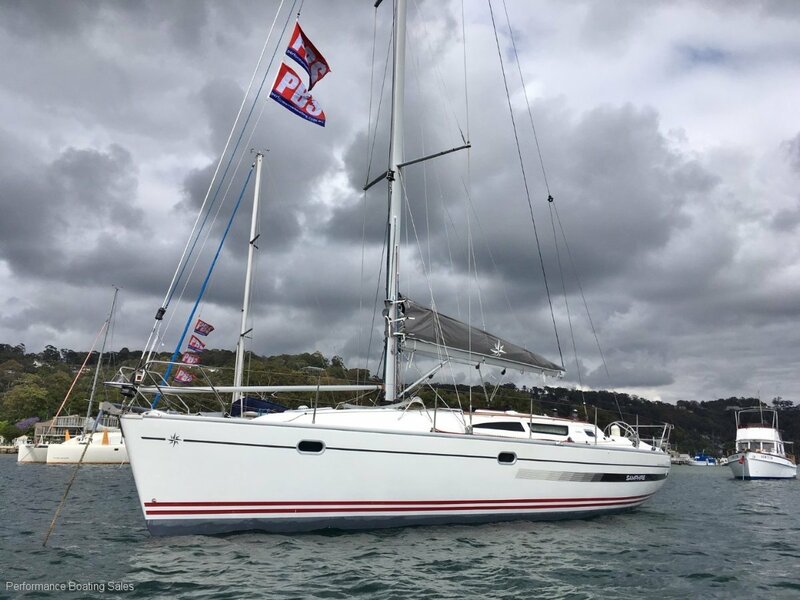 From a sailing point of view expect performance similar to the First 40 and First 40.7, as this yacht has the racing lead bulb keel and 3-spreader rig. 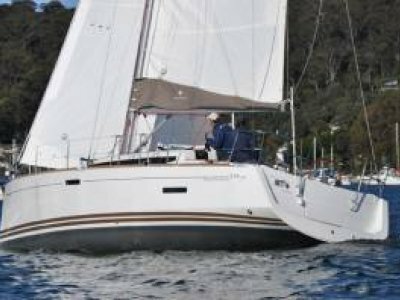 However, for ease of handling it has a furling genoa, or optional self-tacking jib, and the mainsail uses a boom-bag with lazy-jacks. In addition the mainsheet traveller has been moved forward out of the cockpit so that it is in essence the Sun Odyssey cockpit and has an easily removable drop-leaf cockpit table. Instrumentation is full B&G Hydra racing instrumentation complemented with a brand new B&G Vulcan 7R MFD, and B&G autopilot. Running rigging has all been checked and upgraded including new Dyneema halyards, the standing rigging was replaced in December 2010, and the hydraulic backstay serviced with new seals in 2017. The sails inventory comprises a brand new Hood Aramid 3-reef mainsail, a Norths furling #2, a North #1, a drifter and also a Dacron self-tacking jib. This generation of Jeanneau yachts are particularly strongly built, with the internal structure formed with hardwood stringers hand-glassed to the hull, and all slamming areas are Kevlar reinforced. A full survey carried out in January 2018 is available on request. There are very few yachts available which are true cruiser-racers, but this is definitely one of them. 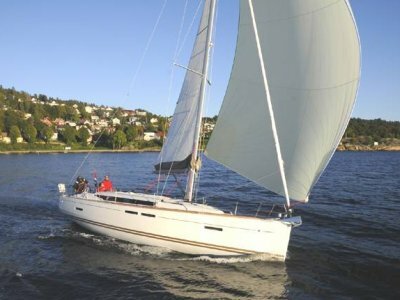 The identical fitout and finish of the cruising Sun Odyssey 40, but with the ability to easily twilight, club race or do those fun regattas. Or simply a fast comfortable passage maker. Contact PBS today to view this special yacht. 2-cabin owners version with convertible saloon double. B&G Hydra 2000 with 2 x Multi's and 2 x Wind displays, Hydra hydrailic drive autopilot with additional companionway control, plus new B&G Vulcan 7R MFD. 3-spreader alloy with Dyform rigging (Dec' 2010), plus new Dyneema halyards (Oct' 2018).